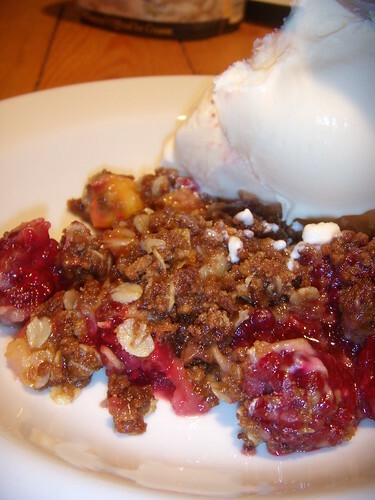 blackberry crumble, originally uploaded by aarn! +30th June, 2008+. maddie made a delicious blackberry and raspberry crumble with a broken molasses cookie and oatmeal topping, served with french vanilla ice cream. this was fantastic.